Our own slice - "Los Setenta Ranch"
Beautiful place you got there buddy and freakin congratulations. No more public land hunting for you buddy. Thanks man! Yeah not much public land hunting for me any more. 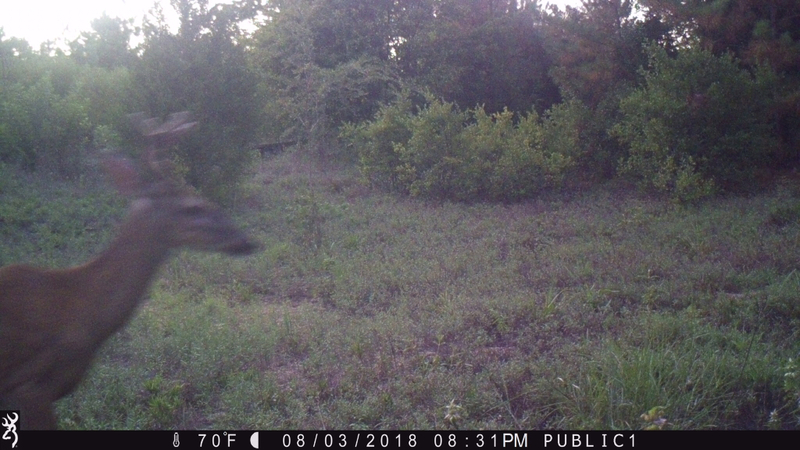 Hopefully, Oklahoma treats me well and we have lots of deer, and very little hogs. 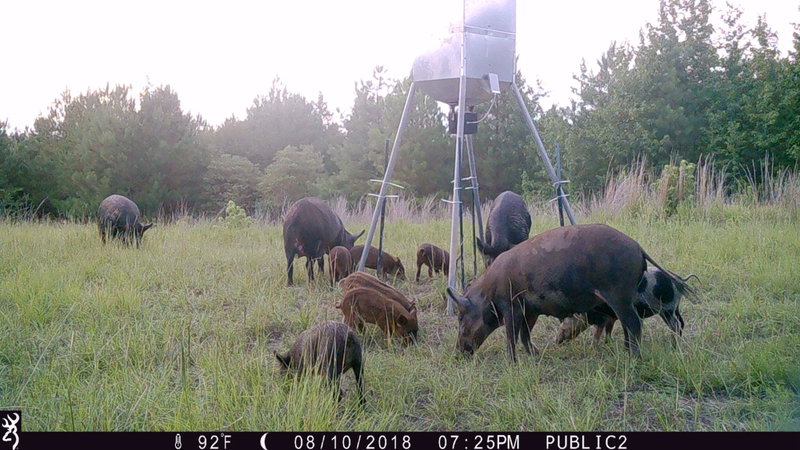 After being there this weekend it's looking like I may have some work to do on the hogs. We will see in a couple of weeks. haha I figured so. 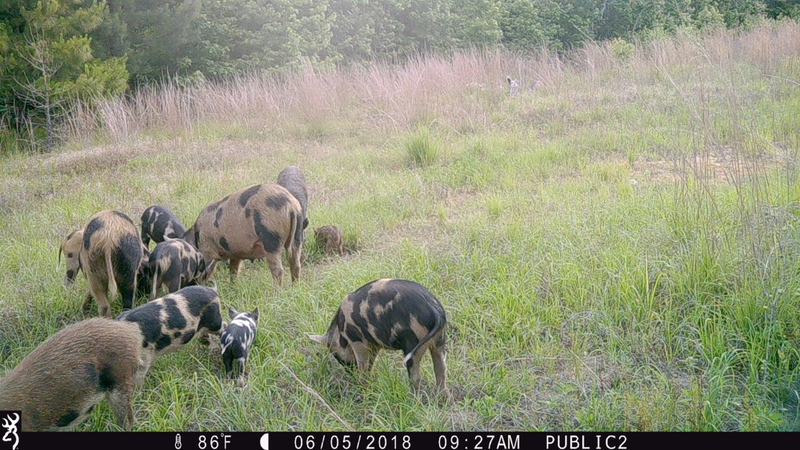 I found that the pigs are using the telephone poles and are rutting circles around them. 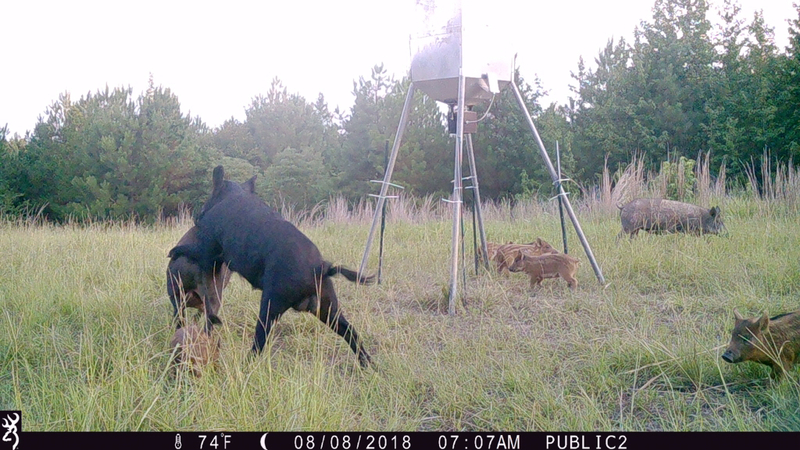 They're going to give me something to hunt in the off season. Well me, the wife, and the dog made a quick run to the ranch to make a list of things we need to get done and check the cams. 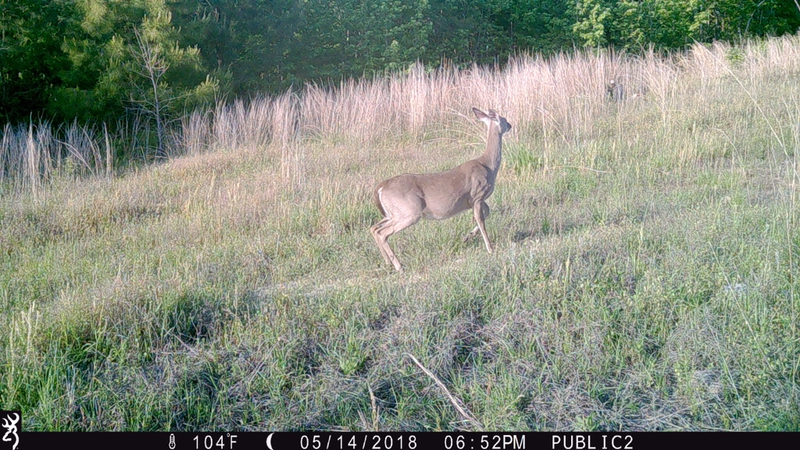 One cam on the road got hit by one doe almost everyday and the one on the power line saw about 5 different deer throughout the week. 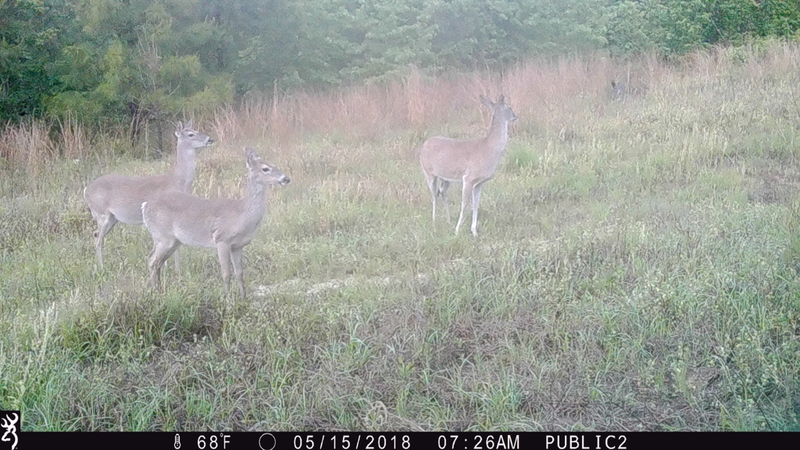 Looks like 4 does and one buck. 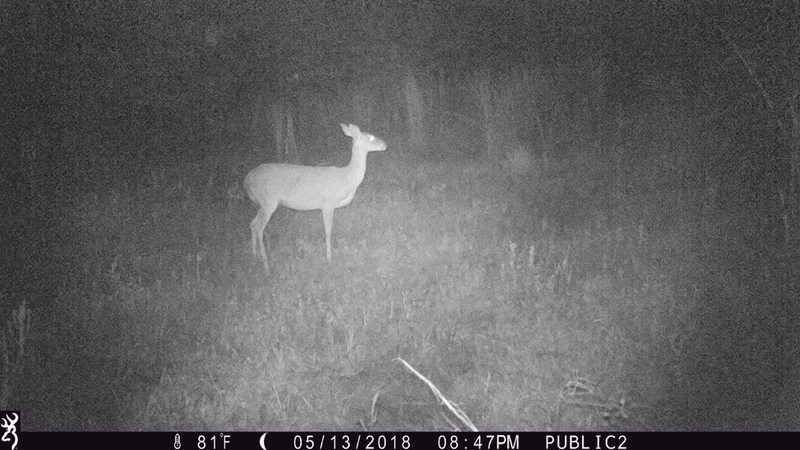 One doe is either really fat and healthy or she’s still prego. Not really sure. Very cool man! 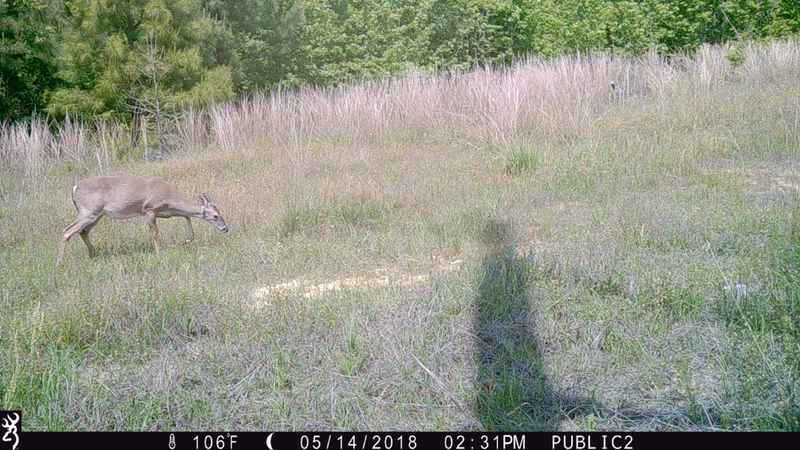 That is a big ol doe! I'm glad you got you a place after years and years of wanting to make it happen! Forgot to post this one. 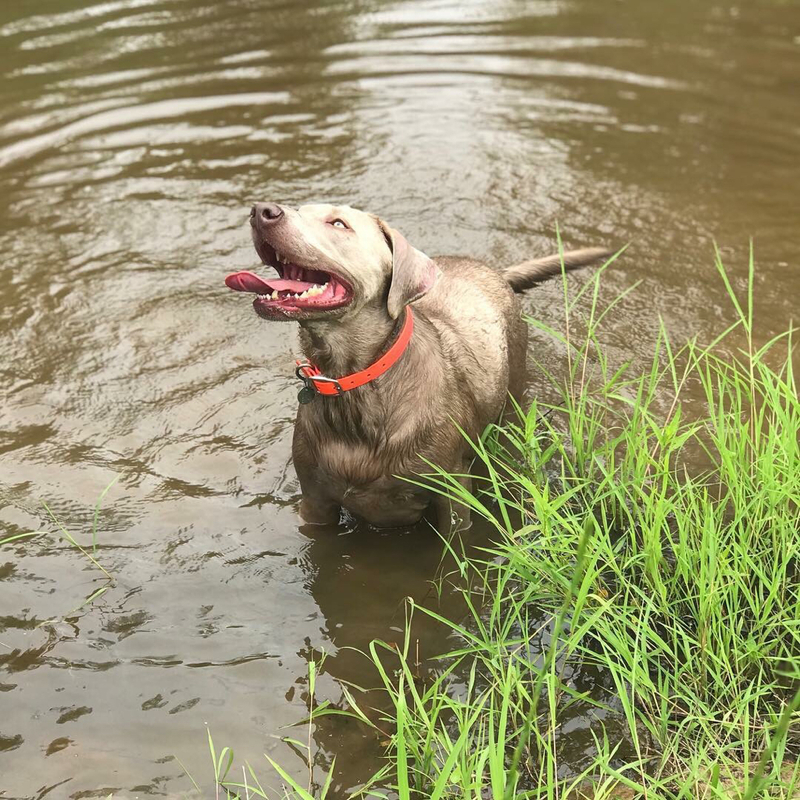 Our pup has loved going to the ranch! Got to swim in the creek this trip! You inspire me to buy some land in the future. Congratulations! Well yesterday was a long hard day at the ranch. 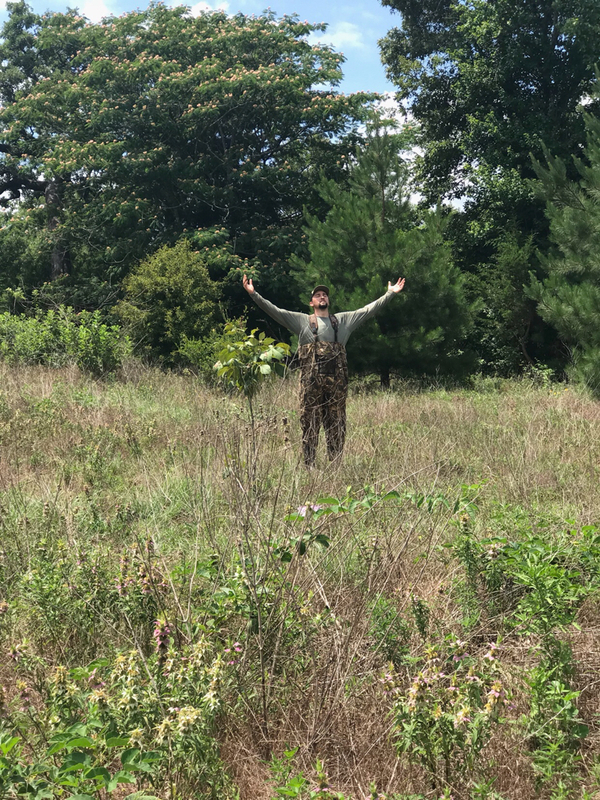 Repaired a section of fence, hung a gate, installed a new gate post, cut a small path for the 4 wheeler to get through, setup a new feeder, and crossed the creek to get into a place that I have yet to step foot in. 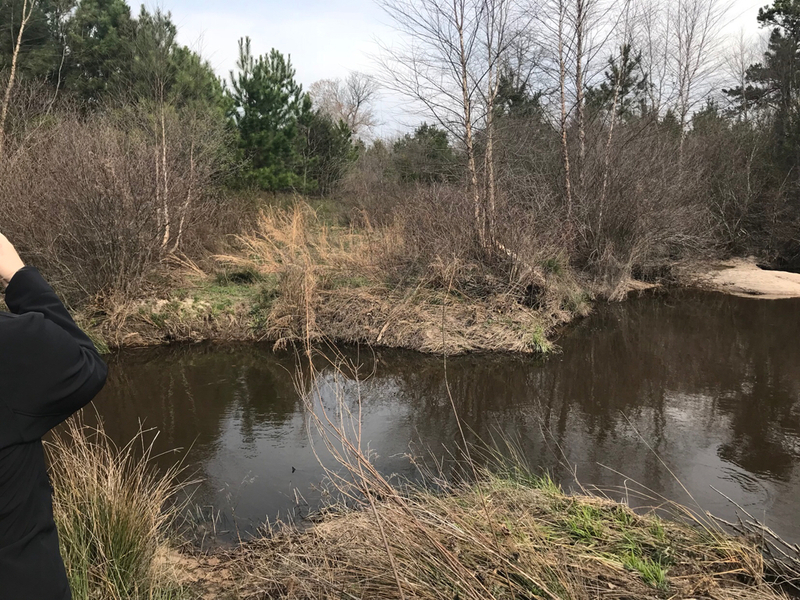 Of course, the spot across the creek looks awesome and has a trail that is flat worn down with deer tracks, and the wife claimed it as her spot. She's calling it "Queens Landing". haha I try to post a few pictures from what my wife took, but I didn't think to take any. I was doing most of the work and was trying to get things done while I could. I pulled cards off of the two cameras I had going. One cam looks like it has crapped out on me, but I had about 3500 pics between the 2 in about a month and a halves time. 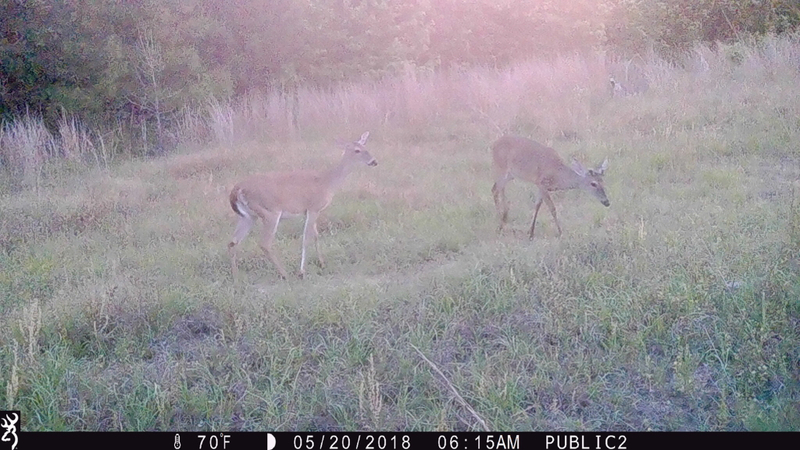 One cam had a doe and buck frequently passing by (this one was just on the main road) and the other had a handful of does, 2 bucks, a fawn, and a bunch of hogs. 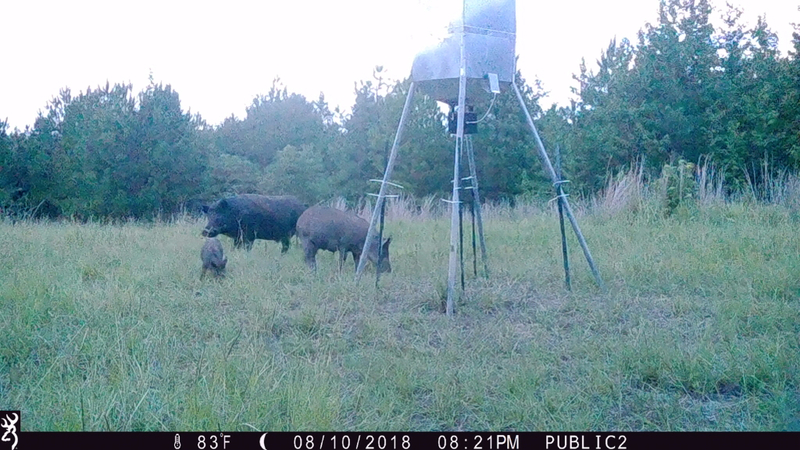 I think once I get the hogs out of there I will be seeing more deer. That and I didn't have any feed out during the past month with everything so green. 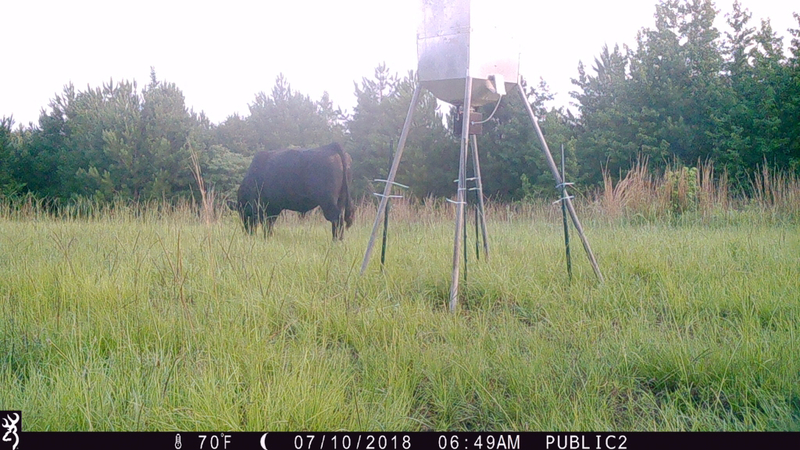 Now that the feeder is up and running, they ought to be coming in more. 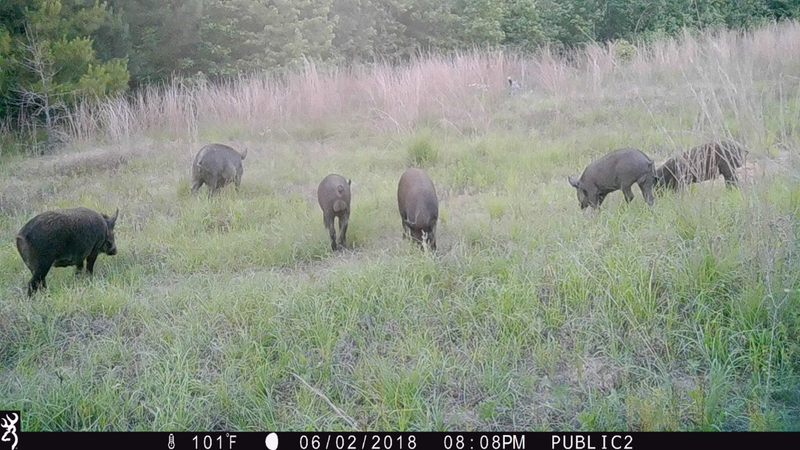 Probably have 30 pigs to kill or run off. 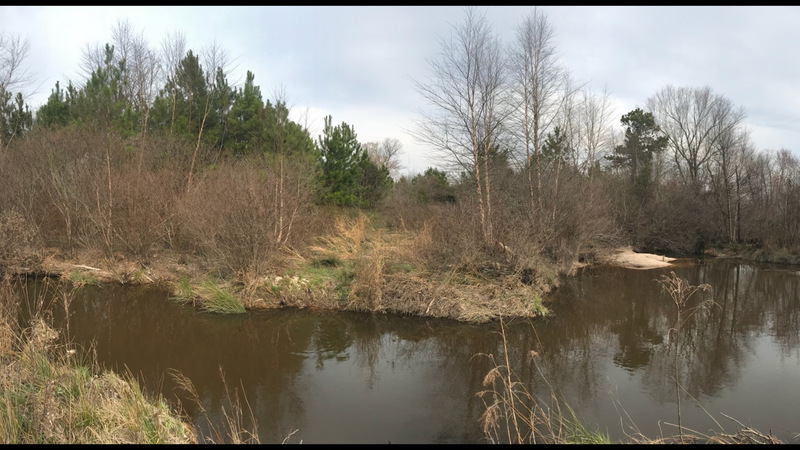 Here are some pics from the new area that we finally were able to get to. It’s a sweet looking spot, just have to figure out a way to access it. Here are some tc pics. 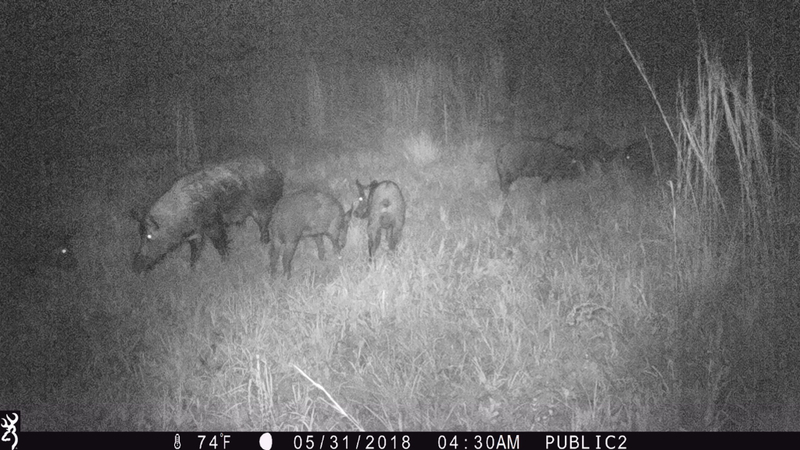 We have some big pigs, 1 healthy fawn, a handful of does, and a decent buck. We haven’t had really any corn or feed out until now for the most part. 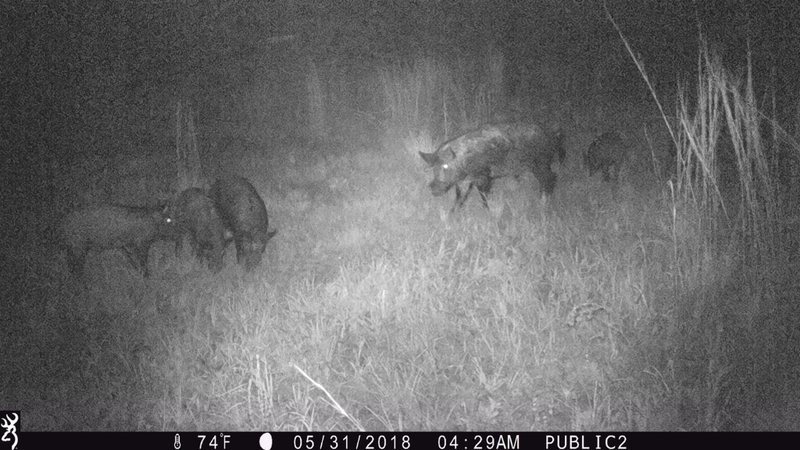 Hoping if I get after the hogs the deer will really show up. Man I'm excited for you! Big congrats to you folks!! Check out "the hunting grounds" on YouTube. 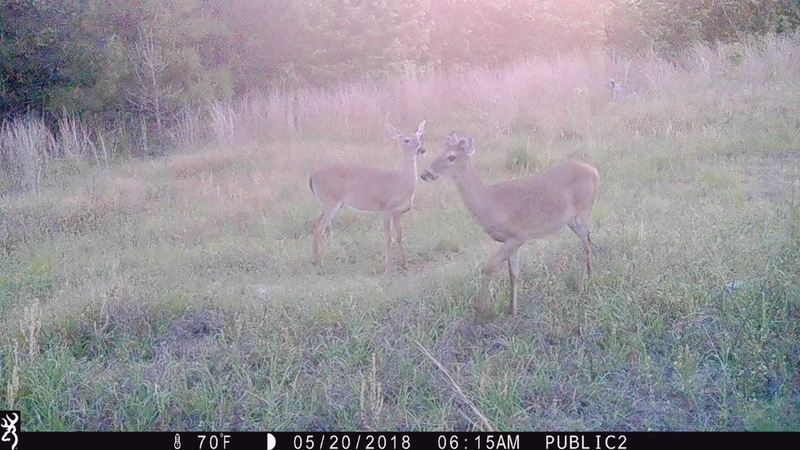 He only has 100 acres and turns it into deer heaven. It's pretty cool to watch it develop. 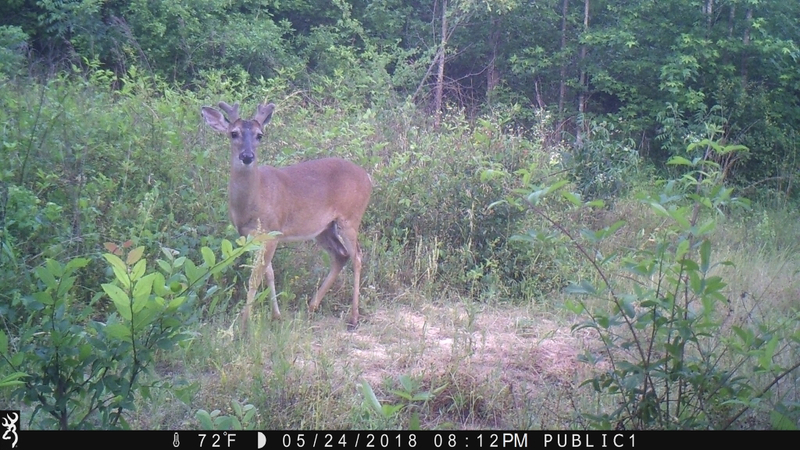 Well I'm headed to the ranch this weekend to mow, move a feeder, hang a couple of stands, check cameras, and spray for food plots. 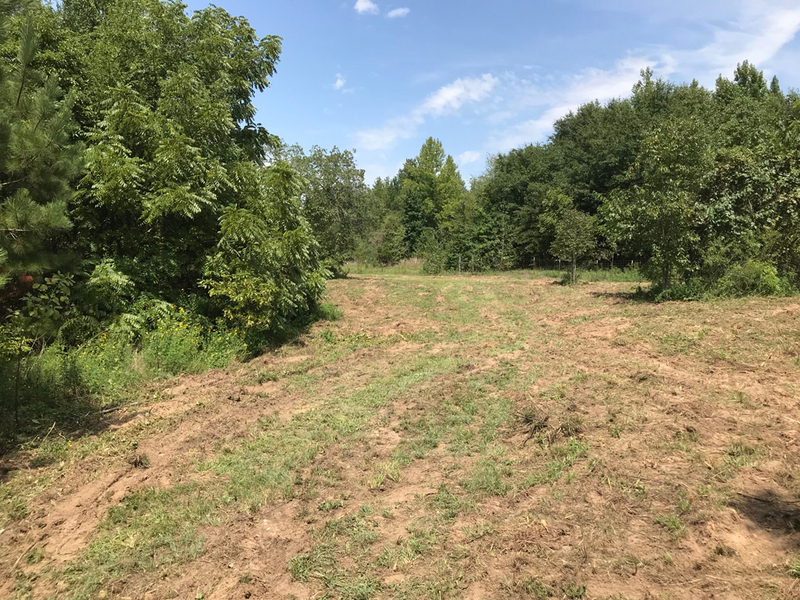 Trying to figure out if I should plant one big food plot in the big power line in the center of my place or plant 3 separate plots. 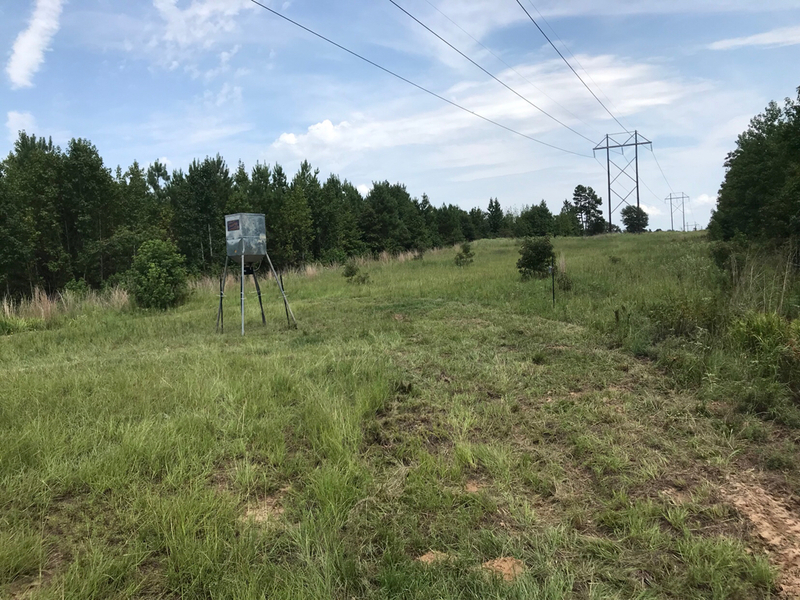 If I do 3 I'll have one on the SE side of my place (1/3 acre), one in the power line in the center (1/2-1 acre), and one on NW side of my place (1/3 acre). Thoughts on what I should do? I will have two feeders running this season as well. I'll have one on the power line and one in the opening on the SE part of my place. I will post more pics when I get back on Sunday! Congrats again on the purchase Brandon! - Glad to be a part of your project and anxiously awaiting some more pictures of what you have show up this season. WHEN you kill, please email me pics to put in my office with my other land purchase customers kills. Thank you, Codie! You made the purchasing process a breeze! 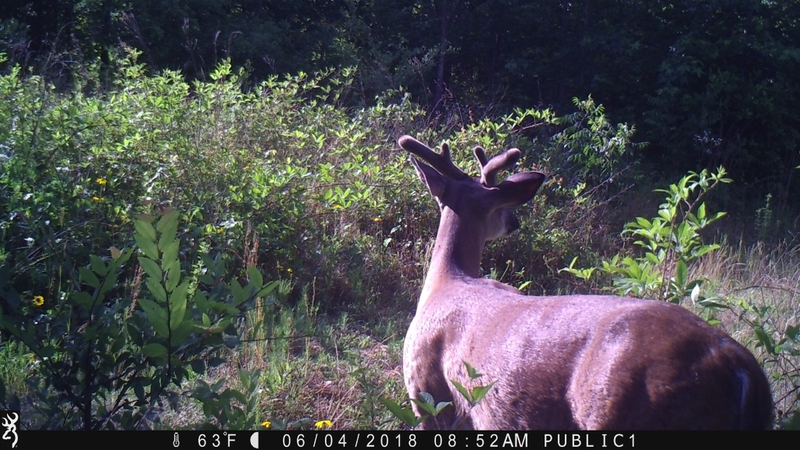 Crossing my fingers that I shoot one this season! If I do I’ll definitely send you some pictures! Congrats Brandon! Looks like a great place. I assume you still have to buy an out of state license since this is not your primary residence? Unfortunately, yes I have to buy an out of state license. Good thing is the taxes for the property in Oklahoma are almost nothing. That was a trade off for not buying land in Texas. Taxes in Texas would be more than the license cost and the deer season in Oklahoma sets up better for the bow hunter. Man, this has been fun to watch. Happy for you and your family. I did not see pics of the creek. Post up pics when you can. I think a workable plan to cross the creek and stay dry can be found. We may have to consult with KactusKiller but I’m sure his consulting fees are reasonable. Dang it, Booner! Haha I’d love to have that setup. Here’s the only two pics I have of that crossing. I think my creek is about 20-25 ft across. I'm going to measure it while I'm there on Sunday. There is no time better than the present! I will get em on Sunday. Well, I quickly realized on Sunday that I wasn't going to get everything I had planned on getting done, done. 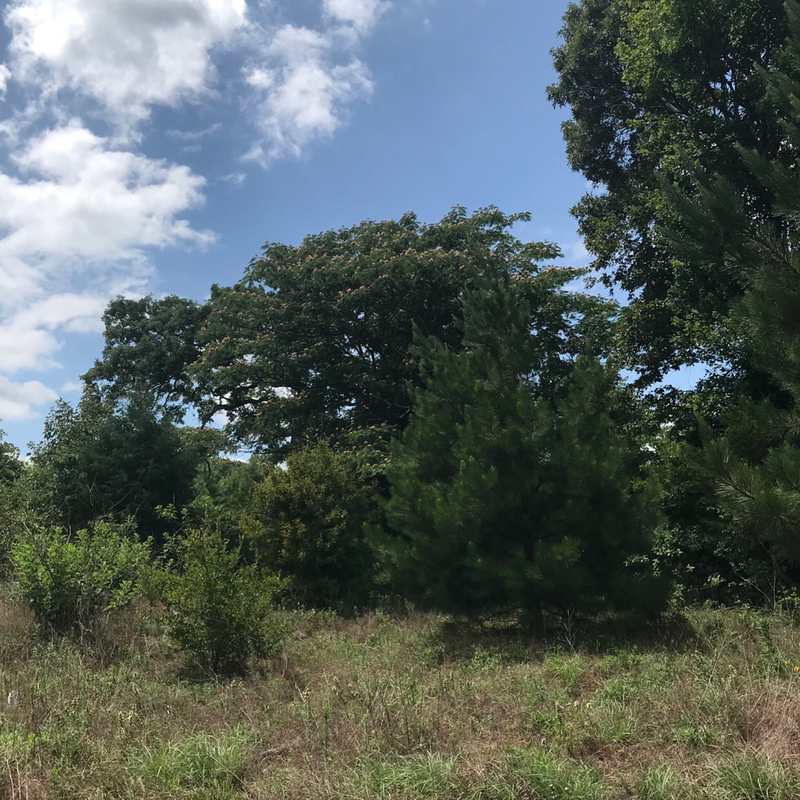 We mowed the main road, front camp/gate area, and one trail through the woods. 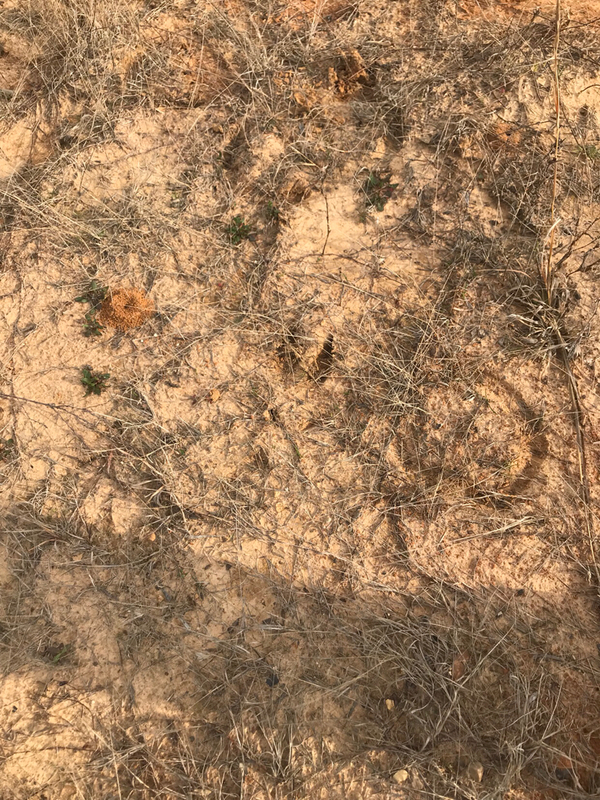 I went down the the bottoms to grab a feeder that was left here when we bought the place and the timer box was full of wasps. I didn't have any wasp spray on me so that plan to move that feeder and fill it went out the door until next time. 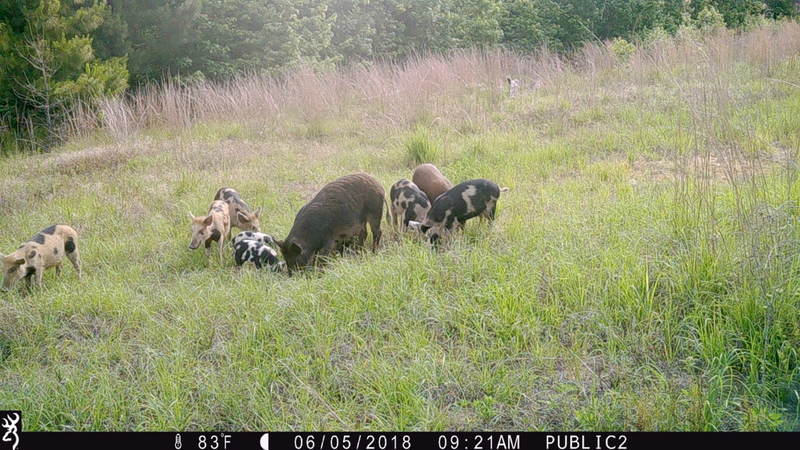 I didn't get to spray any of my food plot areas so I'll have to go back another weekend. 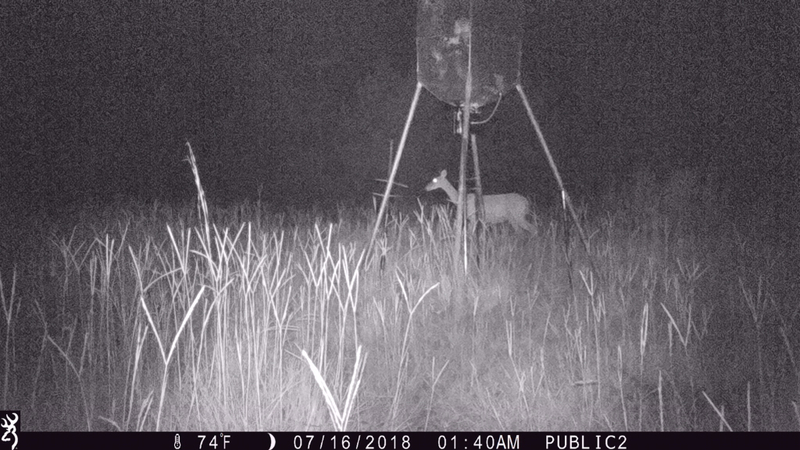 Pulled cards on the two cameras and filled the power line feeder. I don't have any deer that excite me yet. 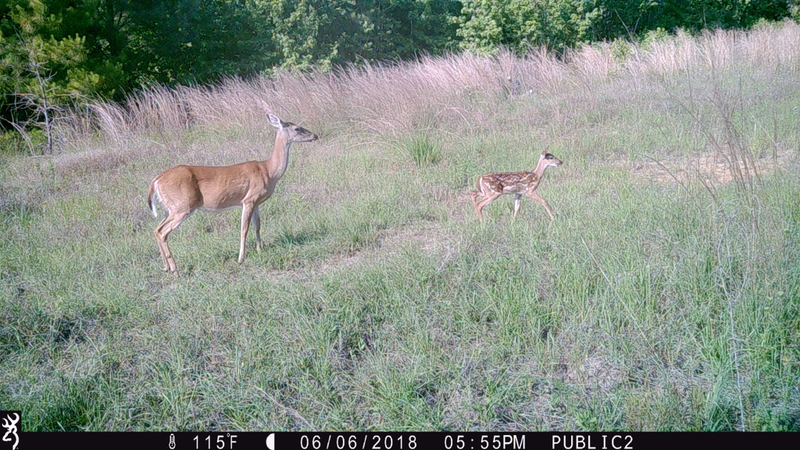 A handful of does, two fawns, and 1 small buck. 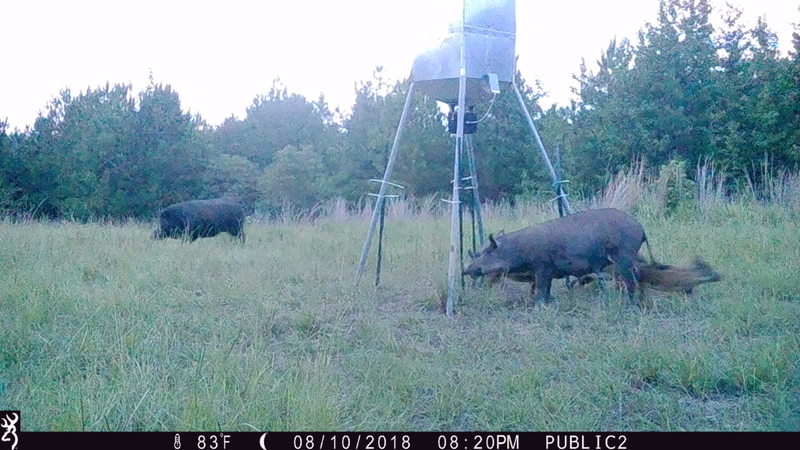 The pigs have taken over the feeder and I really need to get them out of the area so the deer start hitting it. Booner, I measured my creek crossing...I'm going to have to build a bridge of some sort. Its about 23' of water to cross. I probably need closer to a 30' bridge to get all the way across on dry land. I'm not sure what I'm going to do or how I'm going to build a bridge of that size yet. 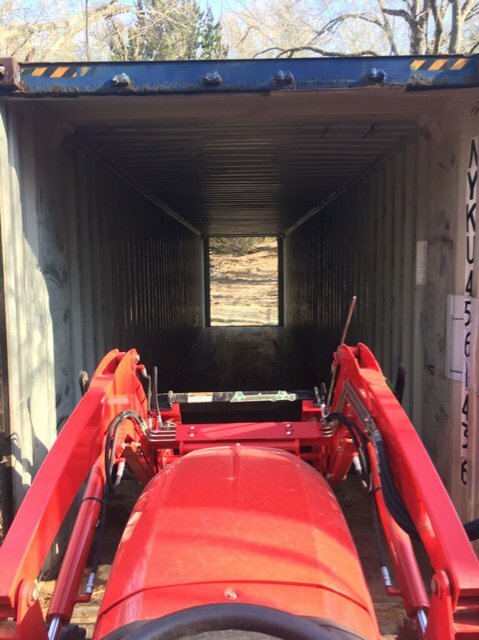 I know I can't get a shipping container back in there. It's too narrow of a pathway down there to that crossing. No, I don’t own a bull. 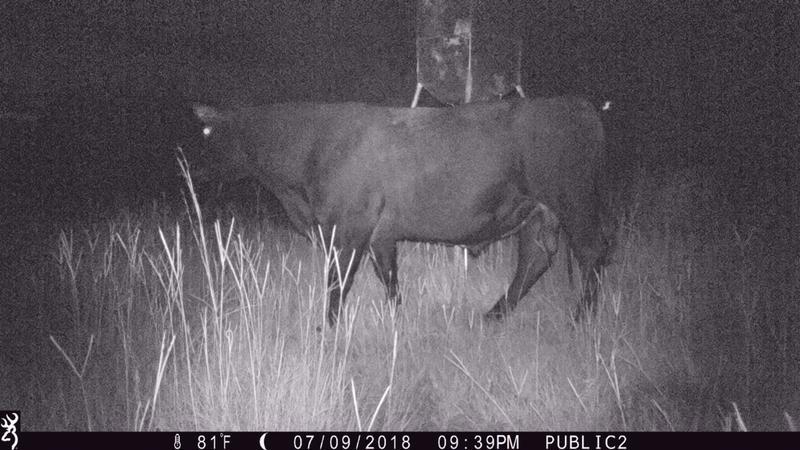 Guess he got out from a neighboring property. He was at my feeder for 3 days the disappeared. 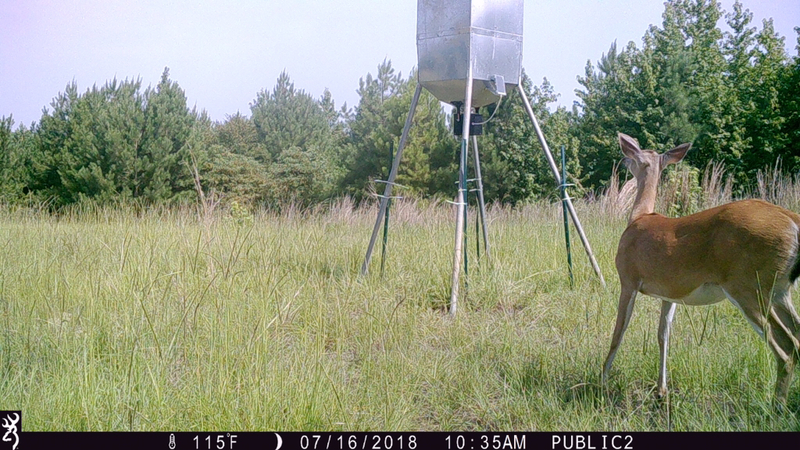 Well she’s the only deer that even looked at the feeder before the pigs took over. 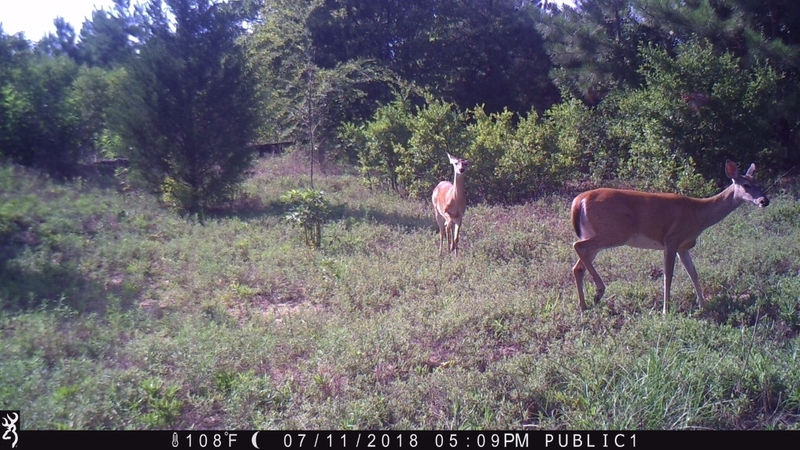 Then big boy in the back left showed up. Any thoughts on how much he weighs? 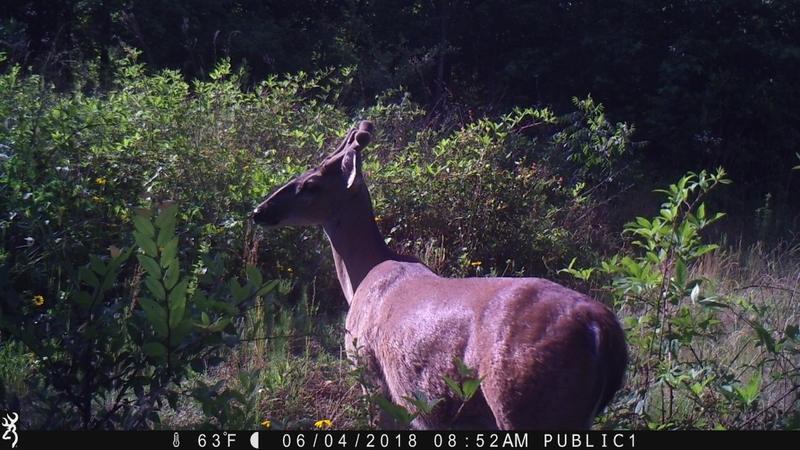 Found the deer over in my wife’s spot she named queens landing. 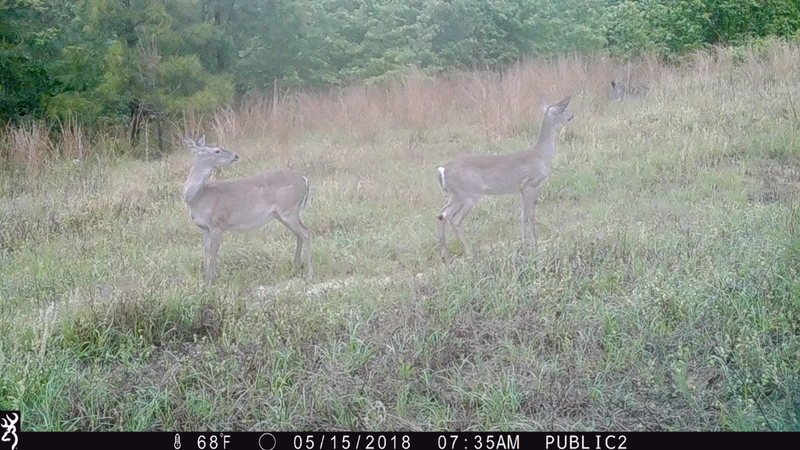 Not much for bucks over here, but have 2 does, 2 fawns, and 1 small buck. Looking good buddy! 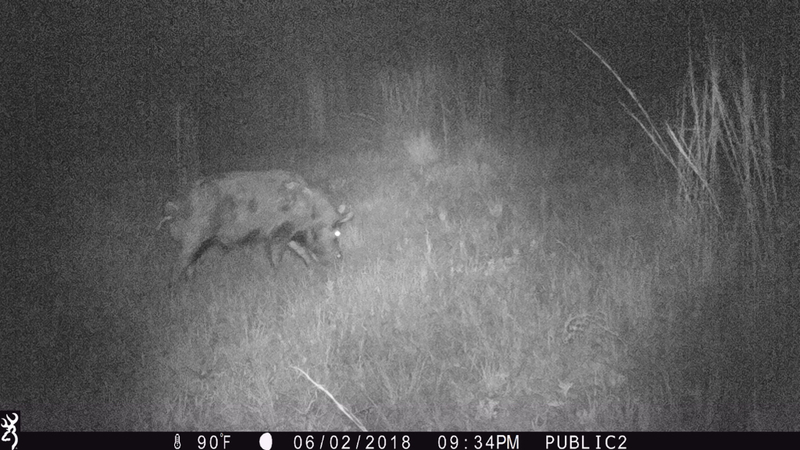 That boar is a beast! Thanks man! 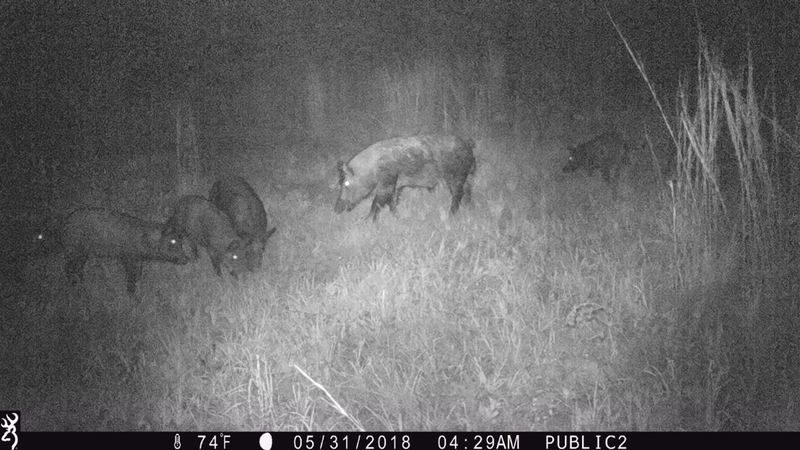 That boar is not one I want to walk in on in the dark. I hope to run them off so I can really see the deer that are there. 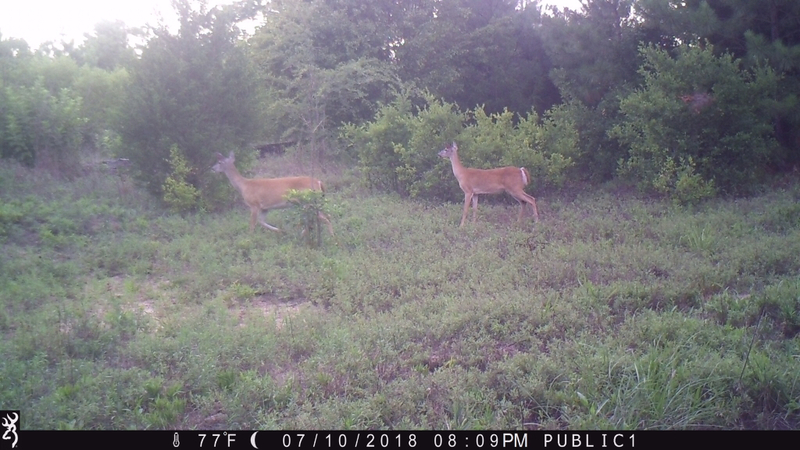 I know there are more than 5 deer on my place. 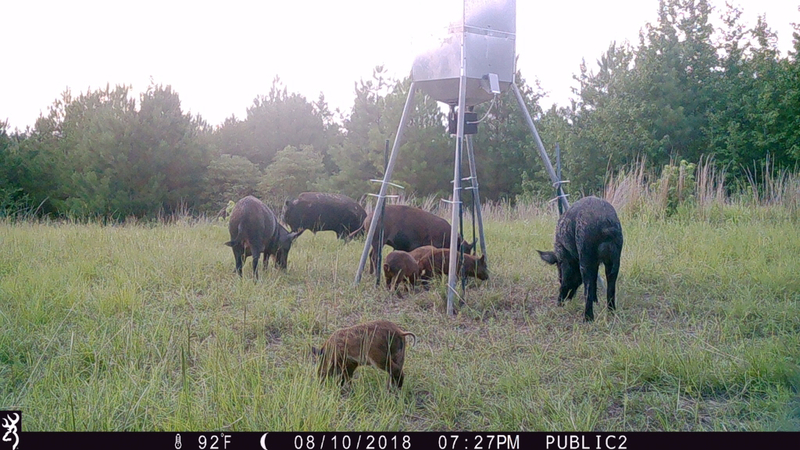 Just gotta run these hogs out and hopefully I'll get to see them. Nice Place Brandon. 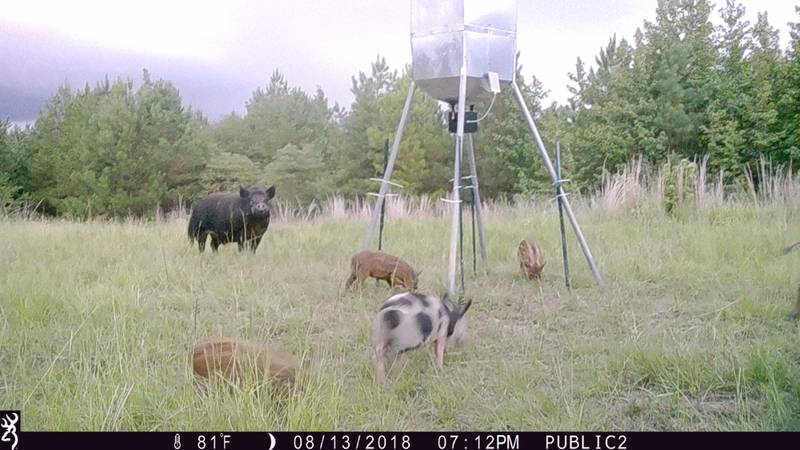 Probably need to get some hog panels and put up around the feeder. I am not too far from you. Let me know if you need anything. I go through Paris and then to Hugo to get on the turnpike. Looking good. That highline is gold! 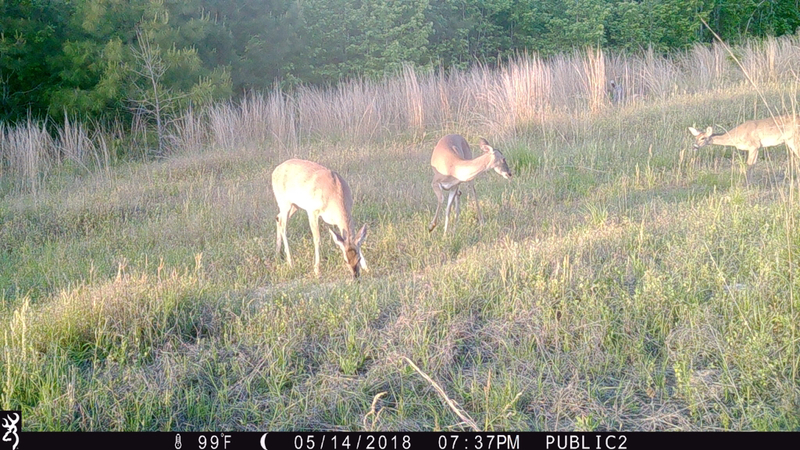 Looks like you have plenty of areas to plant food plots. 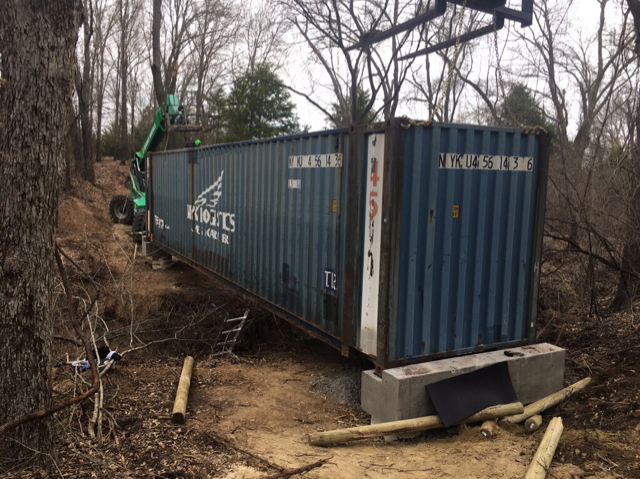 Regarding your span on that creek, you may need to look at buying an old, worn out flat bed 52’ semi trailer. My FIL had one that he sold last year. The buyer cut the tires/undercarriage our from under it and turned it into a bridge. I agree with John on the exclusion pen for the feeder. 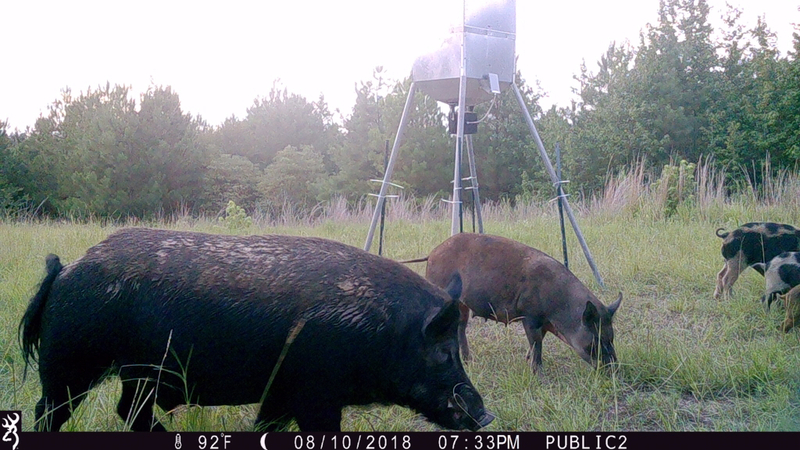 That will keep the hogs out and bring the deer back. Otherwise you will be whizzing in the wind. Can’t shoot or trap enough to make a dent. 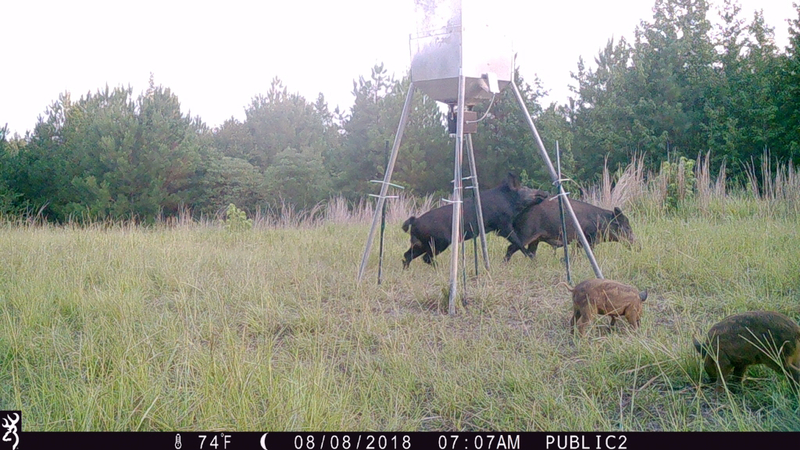 Gotta make it so they move on to someone else’s feeder. Thanks for keeping this updated. I've been following from your first post. Great thread, congrats on your place. Love seeing these projects come together! Well the wife and I made another trip to LSR this past weekend. 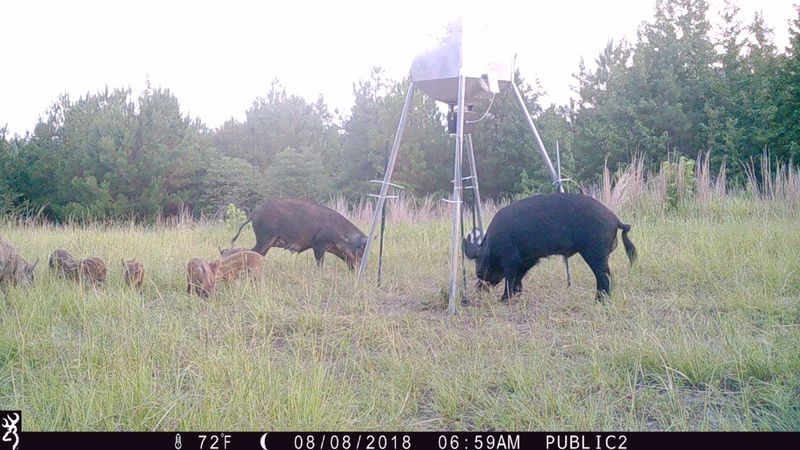 I setup the double bull on the power line at about 16 yards from the feeder which will put it almost in the middle on the food plot once it has been planted. 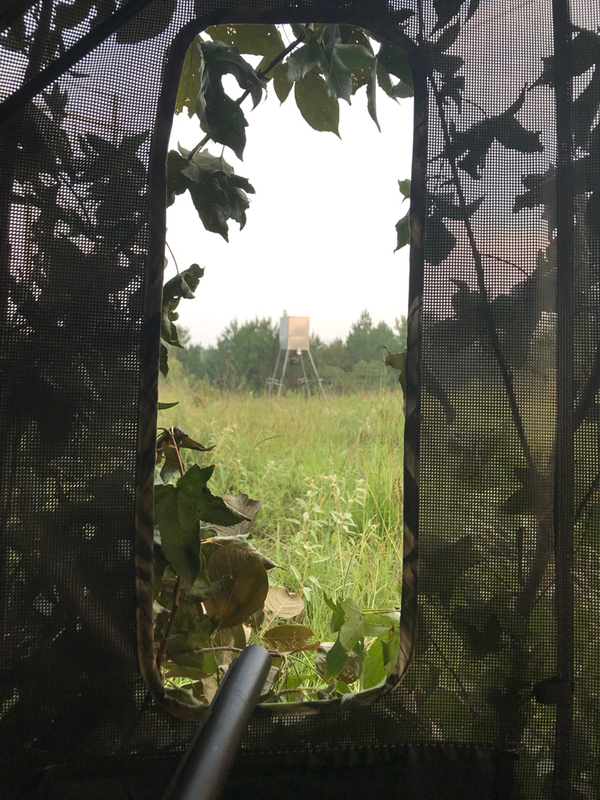 We sat in the blind Sunday morning in hopes of catching the pigs showing up to the feeder, but they no showed on us. 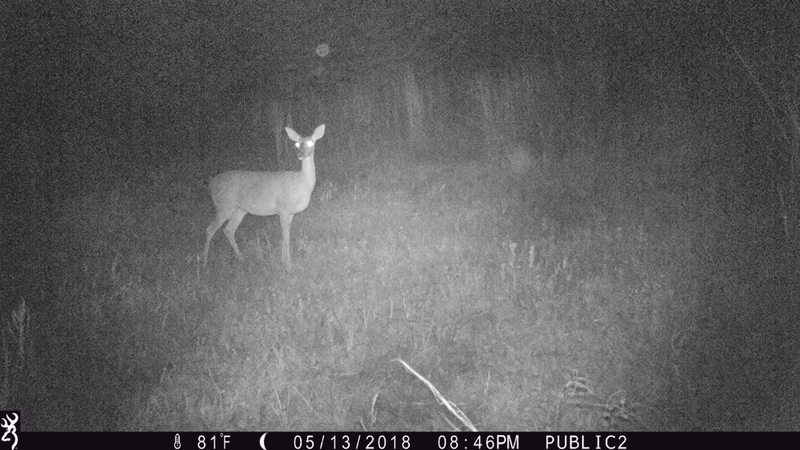 We did have 1 doe come down the road and let us know she could see the blind. 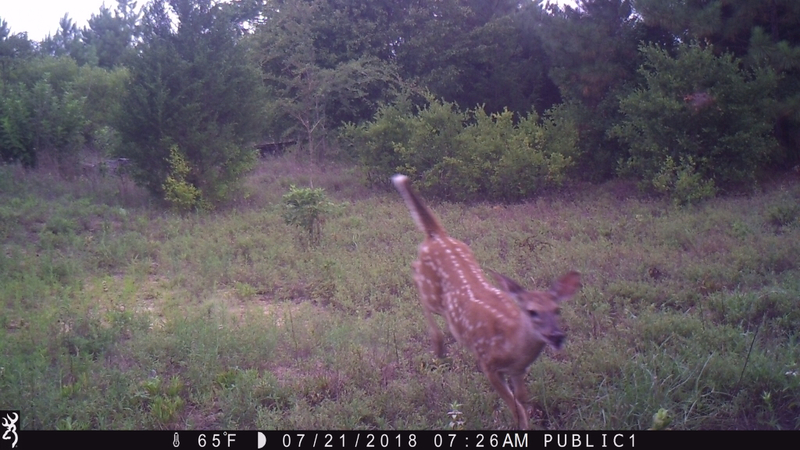 She walked off after she blew at us for a few minutes. 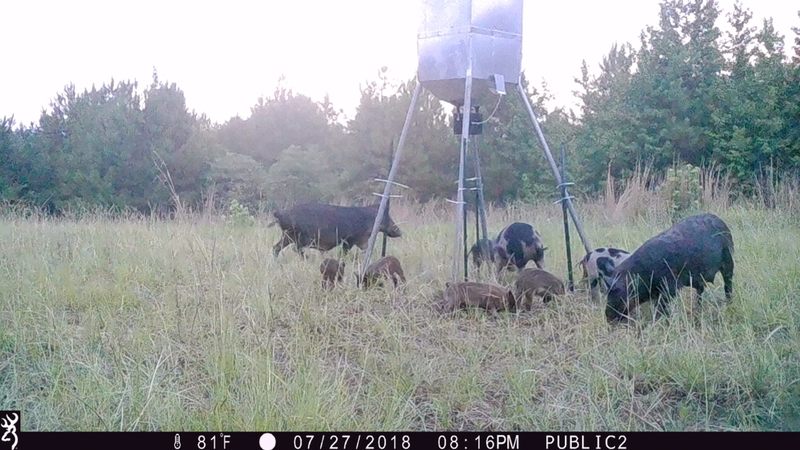 I had the wife carrying the back pack sprayer and spray the area for a food plot, I tried to kill the wasps in an old feeder and there were way more than I had thought in the timer. I went through a whole can thinking oh yeah I got em all, then kicked the feeder leg and easily double the amount I just killed flew out. I nixed that idea and just threw the 5 gallon bucket feeder I had in the spot I wanted to move the wasp feeder. Need to go back and plant my plot, hang a couple of stands, and install another gate in an opening that isn't closed off or install barbed wire there. Hoping to get back up there the weekend of 9/8. Will post pics here shortly! Looks like you’ve got a good setup there. Digging that blind.